Shop till you drop at Jungle Drums Gallery on Captiva Island, FL and 2 Islands Gallery. Step off the beaten path and head to Captiva Beach and Redfish Pass. To see reviews, other places to visit, where to stay, and tourist information, go to the Captiva Island online journey planner . Washington DC to Captiva Island is an approximately 5-hour combination of flight and taxi. You can also do a combination of train, flight, and taxi; or drive. Prepare for much warmer weather when traveling from Washington DC in March: high temperatures in Captiva Island hover around 81°F and lows are around 59°F. Cap off your sightseeing on the 5th (Tue) early enough to go by car to Sanibel Island. You'll enjoy a bit of beach vacationing at Blind Pass Beach Park and Fort Myers Beach. Do your shopping at Bailey's General Store and Sanibel Island Farmer's Market. Go for a jaunt from Sanibel Island to Fort Myers Beach to see Dolphin & Whale Watching about 34 minutes away. The adventure continues: tour the water at your own pace with Tarpon Bay Explorers, browse the different shops at Periwinkle Place, take a memorable drive along Sanibel Causeway, and identify plant and animal life at Clinic for the Rehabilitation of Wildlife (CROW). To see traveler tips, more things to do, photos, and other tourist information, read our Sanibel Island trip itinerary planning tool . 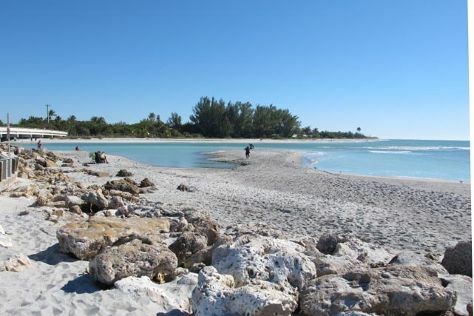 Sanibel Island is just a short distance from Captiva Island. Expect a daytime high around 81°F in March, and nighttime lows around 59°F. Wrap up your sightseeing on the 11th (Mon) to allow time to drive to Marco Island. Marco Island is a city in Collier County, Florida, United States, located on an island by the same name in the Gulf of Mexico off the coast of Southwest Florida. Explore hidden gems such as South Marco Beach and Keewaydin Island. Take a break from the city and head to Cape Romano and Waterskiing & Jetskiing. Change things up with a short trip to Fishing Charters & Tours in Everglades City (about 44 minutes away). And it doesn't end there: relax and rejuvenate at some of the top local wellness centers, tour the water at your own pace with Rose Marina Boat Rentals, stroll through Tigertail Beach, and contemplate the waterfront views at Capri Paddlecraft Park. For more things to do, photos, maps, and other tourist information, read Marco Island trip itinerary maker site . Getting from Sanibel Island to Marco Island by car takes about 1.5 hours. In March, plan for daily highs up to 80°F, and evening lows to 61°F. Cap off your sightseeing on the 16th (Sat) early enough to go by car to Naples. Naples is a city in Collier County, Florida, United States. 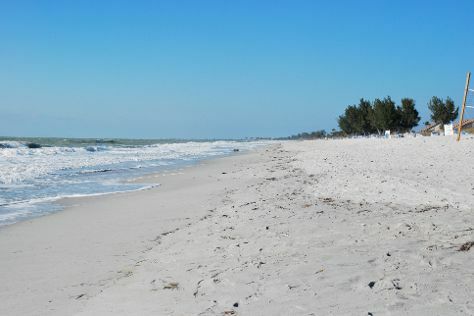 Discover out-of-the-way places like Bonita Springs Public Beach and Clam Pass Park. Head to Third Street South and Waterside Shopsfor some retail therapy. You'll find plenty of places to visit near Naples: Fishing Charters & Tours (in Chokoloskee) and Bonita Springs (Barefoot Beach Preserve & Stand-Up Paddleboarding). There's much more to do: take a memorable tour with Tours, identify plant and animal life at Conservancy of Southwest Florida, get up close to creatures of the deep with a dolphin and whale watching tour, and learn about winemaking at The Naples Winery. For more things to do, other places to visit, maps, and tourist information, read our Naples trip itinerary planner . Naples is just a stone's throw from Marco Island. In March in Naples, expect temperatures between 79°F during the day and 61°F at night. Cap off your sightseeing on the 21st (Thu) early enough to go by car to Englewood. Englewood is a census-designated place (CDP) in Charlotte and Sarasota counties in the U.S. Relax by the water at Englewood Beach and Nokomis Beach. Take a break from the city and head to Manasota Key Beach and Crescent Beach. You'll find plenty of places to visit near Englewood: Boca Grande (Boca Grande Beach & Cayo Costa State Park) and Siesta Beach (in Siesta Key). There's lots more to do: admire the majestic nature at Stump Pass Beach State Park, enjoy the sand and surf at Blind Pass Beach, see what you can catch with a fishing tour, and tour the pleasant surroundings at Venice Beach. For reviews, photos, and other tourist information, read Englewood online travel planner . You can drive from Naples to Englewood in 2 hours. Another option is to do a combination of bus and taxi. In March, daytime highs in Englewood are 75°F, while nighttime lows are 58°F. 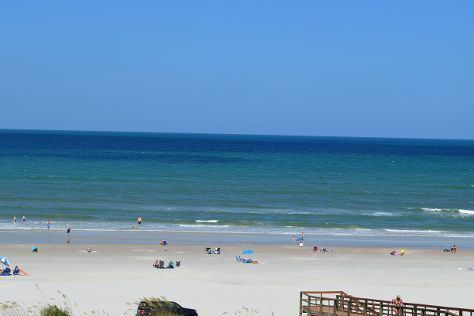 Cap off your sightseeing on the 26th (Tue) early enough to go by car to Bradenton Beach. Bradenton Beach is a city on Anna Maria Island in Manatee County, Florida, United States. Escape the urban bustle at Bradenton Beach and Coquina Beach. You'll enjoy a bit of beach vacationing at Bean Point and Holmes Beach. There's still lots to do: tour the pleasant surroundings at Manatee Public Beach, explore and take pictures at Bradenton Beach City Pier, admire the majestic nature at Manatee Beach Park, and look for gifts at Olive Oil Outpost. To see where to stay, reviews, photos, and more tourist information, use the Bradenton Beach trip planner . You can drive from Englewood to Bradenton Beach in 1.5 hours. Another option is to take a bus. In March in Bradenton Beach, expect temperatures between 77°F during the day and 57°F at night. Finish your sightseeing early on the 30th (Sat) to allow enough time to travel back home.